Aloha...Here is another of the many beautiful natural wonders on the Big Island. 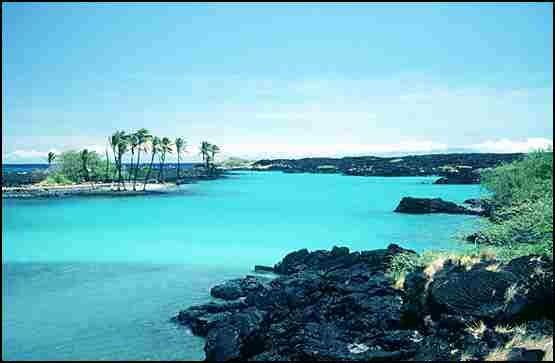 This beautiful bay is about 15 miles North of Kailua-Kona and accessible only on foot. It is a favorite hangout for the Green Sea Turtle, which is the main focus of this page. Here is a view of this beautiful bay...and those are the true colors.